The overall objective of Assets4Rail is to contribute to the objective of IP3 of S2R which is to achieve cost efficient and reliable railway infrastructures. 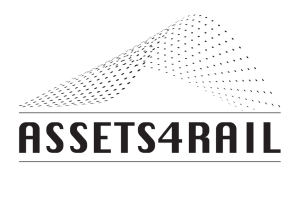 To that aim, Assets4Rail is divided into 2 workstreams that have specific objectives. In Workstream 1 Assets4Rail objective is to contribute improving the inspection, maintenance and upgrade methods for cost reduction and quality improvement of railway bridges and tunnels; it is also an objective the noise and vibration reduction in bridges. 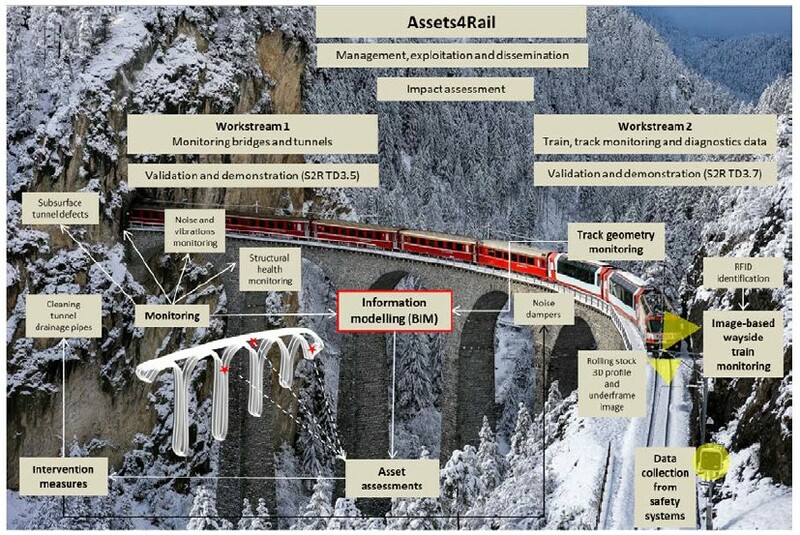 In Workstream 2 Assets4Rail objective is to contribute to build a common measuring and monitoring data representation layer suitable to elaborate data coming from all source segments (onboard, wayside and remote), to correlate the different data and to obtain a holistic view of the railway system conditions. Novel improvements of hardware and software to monitor subsurface tunnel defects and distance (5m-30m) noise emissions monitoring for the integration into Asset specific Information Model (AIM). Improving information gathering and analysis for bridges and tunnels by developing a Building Information Modelling (BIM) platform to optimize inspection, maintenance, and upgrade costs. Development of an integrated method to assess fatigue on bridges components. Development and validation of noise dampers for bridges to reduce peak noise by approximately 5 dB and cleaning drainage pipes in long tunnels. Validate the models, algorithms, software, devices, prototypes, sensors and integrated systems by testing them in relevant environments. Analyse of the available and emerging alternatives for on-board technologies for measuring transversal position of the wheel in relation to the rail to support track geometry monitoring. 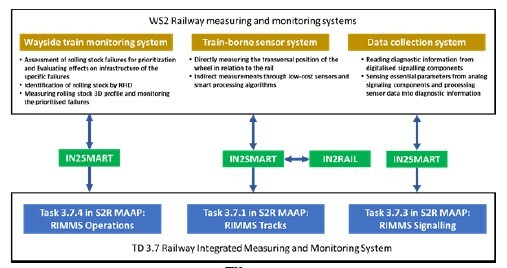 Development of an integral autonomous and contactless wayside monitoring station to detect rolling stock failures. 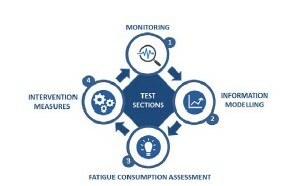 Planning and implementation of a data collection schemes for safety-critical systems.